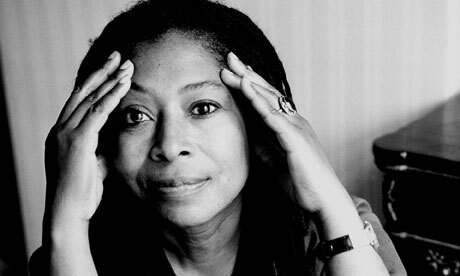 Before her daughter, Rebecca, discovered the “world” in Alice Walker’s blind pupil, she was a broken shell of a woman, attempting to heal from a childhood accident that claimed her self-esteem and confidence as casualties. When Walker was eight, her brother accidentally shot her in the eye, causing her to lose her sight and scarring her self-esteem. When scar tissue developed in Walker’s right eye, it impacted her tremendously. It withdrew her happiness, curiosities about life and people, and her effort to excel. Losing what she believed to be vital to her appearance hurt her worse than her poor living conditions ever did. She was crippled because she placed value in fitting into the traditional standards of beauty. In her poignant essay, “Beauty when the Other Dancer is the Self,” Walker recounts the toll that this incident had on her. Walker’s skewed view of her appearance haunts her for more than three decades. Even after she’s accomplished enormous feats, that one tragic day never leaves her consciousness. When Gloria Steinem decided to celebrate Walker’s genius on the cover of Ms, she wondered if her “blind eye” would cooperate with the camera. What minor fears to have from such a powerful woman. Never mind ‘glamorous,’ it is the ‘whatever’ that I hear. Suddenly all I can think of is whether I will get enough sleep the night before the photography session: If I don’t, my eye will be tired and wander, as blind eyes will. ‘But what’s the real reason you don’t want to do this?’ he asks. 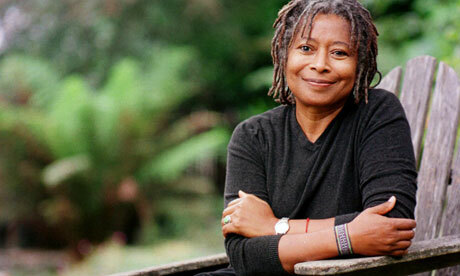 This woman, who was marked by God to use literature to rock the world, is as flawed and insecure as most of us are. Like Walker, we reminisce on our past and let what is out of our control strip us of our self-assurance. Though our accidents might not be as tragic or pervade us for as long, we lose our sense of self for a number of reasons. It all affects our ability to function the way we once did. For most of the women that I know, myself included, confidence drives us. When something traumatic happens in our lives, such as taunting, gaining weight, or not feeling accepted or loved, our self-esteem suffers. It is then that we are most vulnerable, impressionable, and susceptible to emotional and mental harm. I have witnessed self-esteem issues impact my inner circle of sisterfriends. It has impacted their ability to excel academically and to cultivate successful relationships and friendships. Losing confidence is the greatest threat to womanhood, so the question that scourges and drives me is how to redevelop self-esteem when it has been shredded to emotional pieces? I have been curvaceous since the age of eight, but I can never recall an extended period of time when I struggled with self-esteem or confidence. Like all of us, I’ve had moments when I dislike what I see when I look in the mirror, but they are rare crises. I’ve decided that appearance should have no direct connection to how we feel about ourselves. Weight and scars should never define who we are and what we will become. We must detach self-worth from appearance and kill the connection between traditional standard markers of beauty and our own confidence. For me, it took looking in the mirror and telling myself that I was worthy of all that God has bestowed on me; for Alice, it was her daughter’s love that healed her confidence. I wonder what it will take to bring all women to this point of unconditional self-acceptance. What will it take for you?